The award winning and qualified jewellers at Waterdale Jewellery..
At Waterdale Jewellery we pride ourselves in having a state of the art in house jewellery workshop. A professional Valuation is an important safeguard if your jewellery is lost, stolen or damaged for any reasons. Best of the best! Have been going here for a number of years and I wont be going anywhere else. Daniel is the absolute best at the trade!!! Quality, reliable, professional, helpful sales and repairs/remodelling. Nothing too small. We're lucky to have you in Ivanhoe.Thank you. I used Daniel to remodel my engagement ring and I could not be happier. The ring far exceeded my expectations. Could not recommend this jeweller enough! The ring was designed and made by Daniel and really is a masterpiece. So happy with the quality and service. Wonderful hand made jewellery by very professional jewellers. Staff are wonderful and friendly. Top notch quality. Nothing shines quite as bright as an authentic and flawless diamond accurately set in the right hand made ring. Since 2000 the highly-skilled jewellers at Waterdale Jewellery have custom-designed and sold exceptional and unique pieces of outstanding jewellery for customers located across Melbourne. Our family-owned business work closely with our customers to create detailed and exquisite jewellery that can last generations.The perfect way to celebrate an engagement or commemorate a wedding is with our flawless diamond rings that are made for Fitzroy locals from our Ivanhoe workshop. Implementing numerous design elements we can shape, cut, and polish the right ring for your needs that evokes class, passion, and love. To take advantage of our unmatched attention to detail and passion contact our knowledgeable team. We are serving all across Melbourne including Ivanhoe, Preston and more. 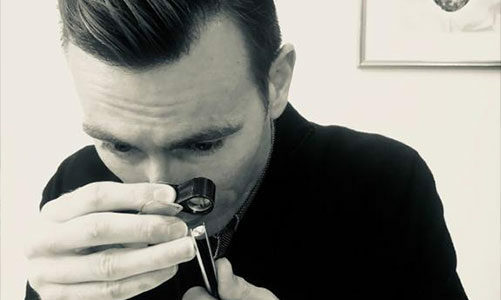 We begin our initial process with a meet and greet, a get to know you consultation, where we can discuss your inspiration, ideas, gemstone and diamond preferences, budget and the overall design direction. For custom designed pieces, Waterdale Jewellery is appointment based. As we want you to feel excited by the process, incorporating your inspiration and personality in a one on one consultation. After our first 'meet and greet consultation, we take away your inspiration, along with our own ideas and create a selection of design concepts. These sketches are then shown to you at the next consultation. This process, depending on the complexity of the design, can take anywhere from 2 -4 weeks. 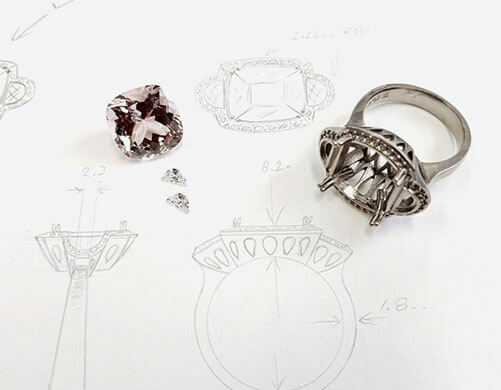 Once you have chosen your final design, we then start the process of hand selecting the perfect Diamond and/or coloured gemstone/s that you may require for your custom designed piece of jewellery. 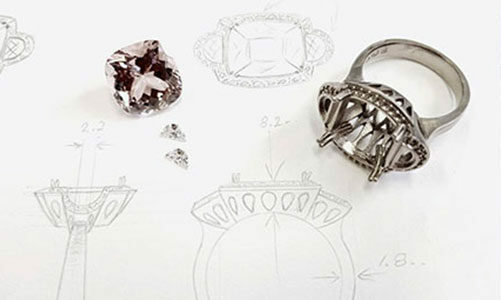 Once we have personally sourced the appropriate gemstones for your design, we then have another one on one consultation - this is a very exciting time, seeing the gemstones in the raw really brings your design concept into reality and also being able to personally select your own gemstones makes it a lot more intimate . Your design and gemstone/s have been chosen, it is at this stage that a formal quote or quotation options will be presented to you. Once all details have been confirmed by you, a deposit will be requested to commence work on your custom piece of jewellery. 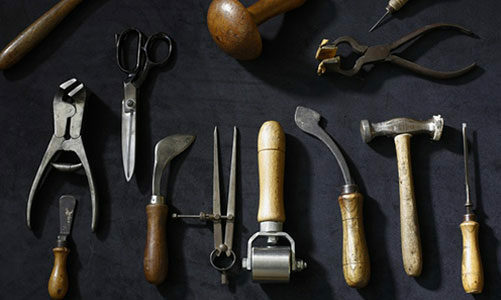 This is the final stage before we start handcrafting your piece of jewellery. We've now finalised your design and gemstone selection, and you've also paid your deposit. It's now time for us to turn your design concept it reality. 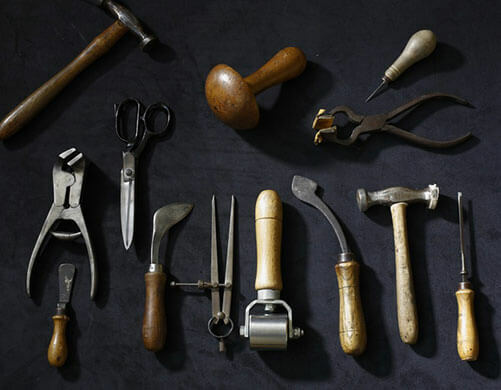 When hand making your custom piece of jewellery turnaround times vary quite a lot depending on the complexity of your jewellery item, it can range anywhere from 3-8 weeks. Of course we do try to work within a specific time frame that you have in mind, and special arrangements can be made to successfully meet these deadlines when both reasonable and possible. This is an exciting moment, it's time to collect your bespoke piece of jewellery. Generally this is done by appointment, however if you need to have your item posted or personally delivered we will endeavour to make this special arrangement achievable. Your item will be presented in a beautiful Waterdale Jewellery box and bag. Upon request your jewellery item may also be accompanied by an Insurance appraisal, a Diamond or coloured gemstone certificate, or your very own Q report Insurance booklet- if you have chosen to insure your jewellery item with us.